We ordered a sectional door from the date of order our new electric door was fitted in 4 weeks, amazing service and a very professional job. 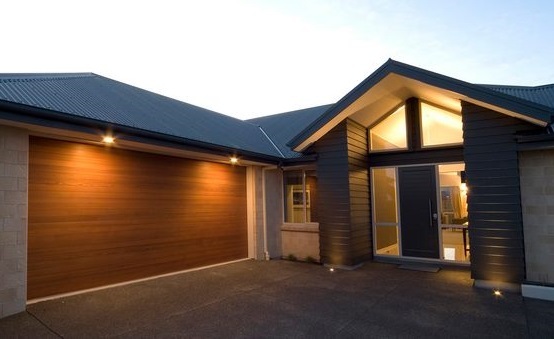 I would have no hesitation in recommending Alex Lauriston garage doors. Alex came and looked at my garage and gave me the best advice of which door to buy as my car was too big for the garage door I had. From start to finish he was excellent and I now have a brand new roller door that matches my needs perfectly, also just like to say what a tidy job not only removed my old door but took it away and left the place cleaner than when he started. After my meeting with Alex I decided on a remote control sectional door, what a difference this has made to my garage its warmer and draft free, not only that it make my garage look up to date and matches my house windows perfectly. If you are looking for a garage door he is the company to use. Alex Came to look at my garage door after I was told it would need replaced, Alex advised me against replacing the door and told me all it needed was a service, I also wanted it to be electric so he fitted a motor to the existing door and it works perfectly. Thanks Alex for your honesty and not trying to sell me something I didn't need.